Considerable attention has been given during the past few years to the water crisis that many regions of the world may face in the coming decades. While the magnitudes and the extent of the global water scarcity problems of the future should not be underestimated, leading international experts have recently pointed out that the main water crisis in the coming years is likely to stem primarily from water quality deterioration and lack of investment funds, rather than from physical water scarcities per se. 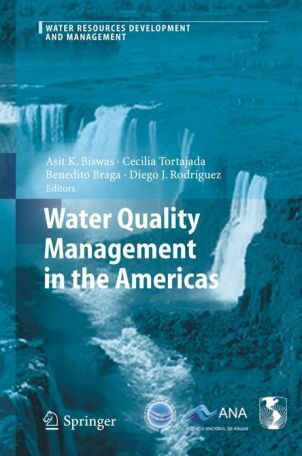 However, in spite of the seriousness of continuing water quality deterioration in most countries of the world, water quality management is still somewhat neglected issue. Even the magnitudes and extents of the water quality problems are not reliably known in most countries. This unique book analyses the current situations in water quality management in North, Central and South America, and discusses the policy alternatives available to improve the existing and future water quality management practices and processes in a cost-effective and timely manner. It objectively reviews which water quality policies have worked, and which have not, and the reasons thereof.